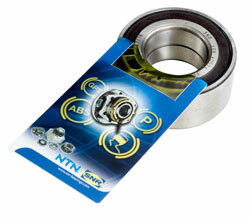 NTN-SNR is advising all mechanics and technicans on best practice when fitting an Active Sensor Bearing (ASB). An ASB wheel bearing has a magnetic encoder fitted within the seal which in conjunction with the ABS sensor measures the speed of each wheel independently. 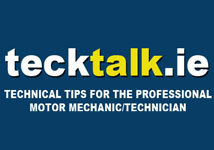 This information is used by the ECU for the vehicle’s ABS (Anti Lock Braking) System. This technology was invented by SNR, Europe’s biggest wheel bearing producer. The first vehicle to see this technology was the Renault Laguna in 1997. Today, the majority of new vehicles now fit ASB wheel bearings as standard. 1. Ensure the knuckle, hub, the press etc. are clean, free from swarf and other metallic particles. 3. Keep ASB wheel bearings away from other magnetic sources ie. Magnetic screwdriver, as it will erase the magnetic poles within the encoder. 4. Always install the wheel bearing with the magnetic encoder inboard side, you can check this with a metal paper clip. 5. Always follow the vehicle manufacturer’s instructions. Photo 1 above shows an NTN-SNR magnetic tester card, checking an ASB bearing, that has been damaged by a magnet. Photo 2 above shows an NTN-SNR magnetic tester card, checking a working ASB bearing.